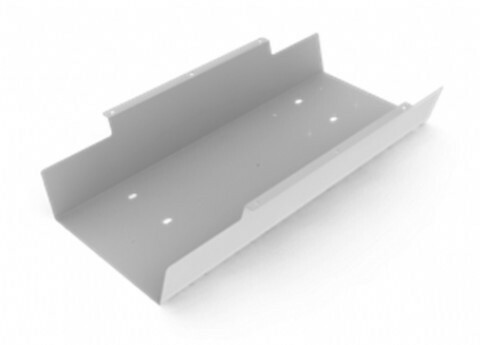 A Metal Cable Tray for screwing to the underside of desk or worktops. Simply screw into place wherever needed. Comes in colours to compliment our range of X Series Desking, but there's nothing to stop you using this as a generic solution for other desk ranges.